Holiday Season: Benevolent is available from several vendors for your holiday gift-buying. See the Books => Buy Books tabs above for all your options, ranging from the $4.99 e-book to the $13.00-$15.00 paperback. Merry Christmas! November 7, 2013. Benevolent is listed with US Book News, for the next several months. Good news is, if someone happens to find their way there, it is listed second. September 5, 2013. Officially announce that I am working on a Benevolent spin-off novella, titled Night of One Hundred Thieves. More information forthcoming on the Benevolent website. September 1, 2013. I randomly win a contest I did not know I entered, for a Readers’ Favorite Author Service of an E-Query, normally priced at $100. Looks like The Family Elephant’s Jewels will get a little extra professional help. August 18, 2013. Owl and Zebra Press gets its first real snail mail at its PO Box, which also happens to be the certificate from the Library of Congress, letting us know that Benevolent (including the art and editing) are officially copyrighted and on file at the Library (with a big L). August, 2013. Benevolent gets a gushing four-star review and becomes Indie Reader Approved. They even have a virtual sticker for it. July, 2013. Benevolent takes an honorable mention in general fiction with the Hollywood Book Festival. Like reading books that make a great film? Try Benevolent. June 17, 2013. Benevolent wins another award, this time with the Beach Book Festival (honorable mention, general fiction) out of California. Grab your summer copy before heading to the beach! May 26, 2013. Benevolent receives a Five Star rating from Readers’ Favorite, along with two other glowing reviews. The book ad will be cycled on the website for the next four months. May 20, 2013. The Starving Artist launches a monthly E-Newsletter. Everything writing, publishing, books, and Devon Trevarrow Flaherty. Sign up here. May 4, 2013. Benevolent wins an award with the Paris Book Festival (honorable mention, general fiction)! 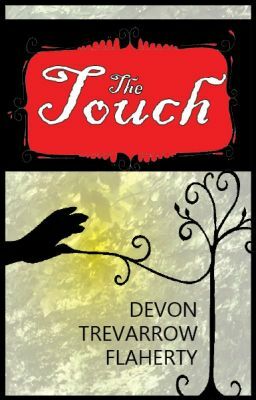 It is now an award-winning book and Devon is now an award-winning novelist. April 27, 2013. A five out of five coffee cups review from The Coffee Pot. Thanks, Tracy! April 5, 2013. This marks the official day in history when reviews started to make their way from unbiased parties. 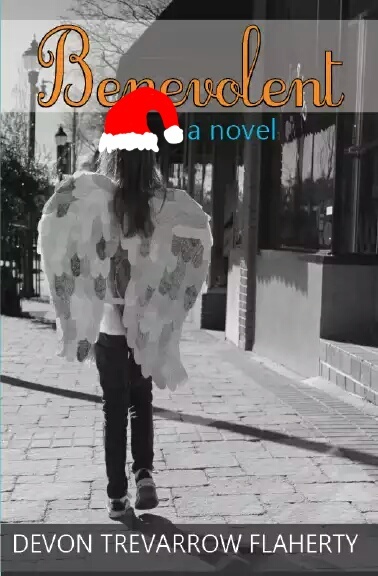 Erin, a reader on GoodReads and Amazon, gave Benevolent five out of five stars and Tien Taylor, a blogger with The Book Guru had nice things to say. April 3, 2013. The upcoming reading at The Regulator Bookshop (April 8) is featured in Indy Week (aka. The Independent, online and in print) as a Recommended Event and a Pick of the Week. Totally cool. March 19, 2013. Benevolent is now available from Barnes & Noble! While you might not see any copies displayed in the store, you can purchase them online or order your copy in the store or even to the store (there and at B. Dalton and Waldenbooks)! Simultaneously, we are approved for Smashwords Premium status, which means Benevolent will also be (in the next few weeks) available as an e-book from Barnes & Nobel, Sony, Kobo, Baker & Taylor, Apple, Page Foundry, Diesel, and more. Yee-haw! March 18, 2013. Launch day. See the Information=>Events tab for lots more info. March 17, 2013. Benevolent headlines the D-section (Books & More) in the Herald Sun. Awesome. March 12, 2013. Are you ready for the launch? You will be after you check out all the scheduled events and giveaways under the Info=>Events tab. April 8th (or you can just show up to give me support). VIRTUAL LAUNCH WILL BE ON THE 18TH, too, and blog tour will start then. Check out my websites/Facebook on that day. January 9, 2013. Editing becomes a full time job on top of my full-on life. That, and keying and coding. That, and downloading cover formatting software. That, and sending permissions letters to Belinda Carlisle. That, and. January 5, 2013. A couple of the first readers’ edits actually get back on time. See Benevolent Reviews page for some of the early comments.